Surveying is a branch of Civil Engineering to measure area, horizontal and vertical angle, slope, horizontal, vertical distance for new road, laying & building foundation, utility line etc. 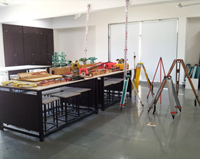 The laboratory is equipped with major equipments include Total Station with stand, Planimetre, Theodolite with satnd, Dumpy level with stand etc. 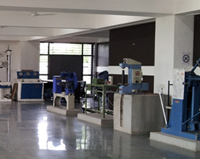 The Material Testing/Concrete Technology Laboratory in the department of Civil Engineering at GIDC Degree Engineering College, Abrama is one of the best concrete technology laboratories currently existing in India. 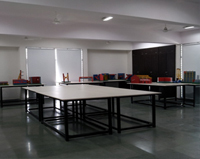 The laboratory serves a wide spectrum of activities covering those related to teaching, research, development and consultancy. 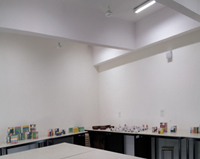 The primary activities include experimental studies on different types of materials which are using in concrete and testing of concrete specimens in various exposure conditions. 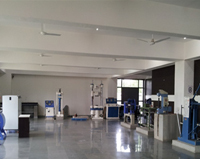 The Concrete technology Laboratory also offers technical services for testing and research on the structural behaviour and properties of materials. 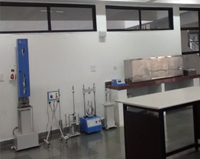 The Engineering Geology Laboratory is an integral part of the Department of Civil Engineering at GIDC Degree Engineering college, Abrama. Engineering Geology subject was started under civil engineering department in 2009. 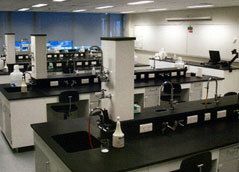 Since its inception, all the faculties, students and associated lab staff have actively contributed to its development. Engineering geology is the application of the geologic sciences to engineering practice for the purpose of assuring that the geologic factors affecting the location, design, construction, operation and maintenance of engineering works are recognized and adequately provided for. Engineering geologists investigate and provide geologic and geotechnical recommendations, analysis, and design associated with human development. The realm of the engineering geologist is essentially in the area of earth-structure interactions, or investigation of how the earth or earth processes impact human made structures and human activities. Engineering geologic studies may be performed during the planning, environmental impact analysis, civil or structural engineering design, value engineering and construction phases of public and private works projects, and during post-construction and forensic phases of projects. Works completed by engineering geologists include; geologic hazards, geotechnical, material properties, landslide and slope stability, erosion, flooding, dewatering, and seismic investigations, etc. Engineering geologic studies are performed by a geologist or engineering geologist that is educated, trained and has obtained experience related to the recognition and interpretation of natural processes, the understanding of how these processes impact man-made structures (and vice versa), and knowledge of methods by which to mitigate for hazards resulting from adverse natural or man-made conditions. The principal objective of the engineering geologist is the protection of life and property against damage caused by geologic conditions. 2)	Shape test (Flakiness and Elongation Index). 4)	Specific gravity & Water absorption test. 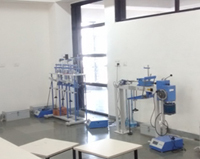 The requirement of the practical experiments prescribed by Gujarat Technological University, Ahmadabad. Copyright � 2012 GIDC Degree Engineering College.